Kobblestone Miniatures gives you a chance to get some of their terrain pieces for cheaper than usual with their June sale on their Celtic line of products. June 1 - 15, 2013 - 15% discount off our entire Celtic line of products. 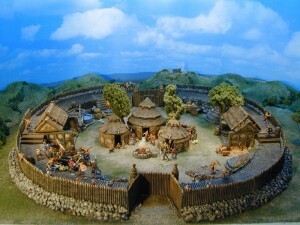 There are many items to choose from – Huts, Roundhouse, Celtic Well, Firepit, Blacksmith,Barn or even the complete Celtic Fort. The discount on the complete Forts ranges from $35 USD to $40 USD …. quite a savings!